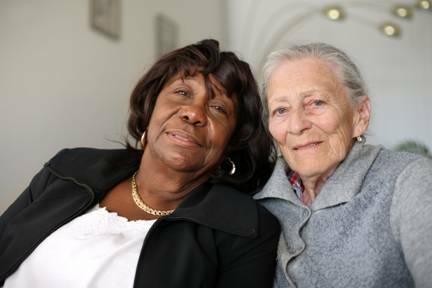 October is 'Celebrating Age' month in Lambeth, which is jointly organised by the Council and Age Concern. This involves a wide range of events for older people throughout the borough, many of them free. For instance, there are free activities for over-50s at the Brixton Rec, Flaxman Sports Centre and Ferndale Community Sports Centre. For the complete list of events click here. The month kicked off last week with a launch at Age Concern Lambeth’s headquarters at which the Mayor of Lambeth, Cllr Neeraj Patil and the Deputy Cabinet Member for Older People, Cllr Jane Pickard both spoke. On 20 October, the extension to the Woodlawns Centre in Streatham which houses the Streatham Darby and Joan Club will be opened by the Mayor and Streatham MP, Chuka Umunna.The month will end with a tea dance party at the town hall. All are welcome at the events. Lambeth is leading the way in offering a whole month of events to celebrate older people – most boroughs just observe a national day on 1 October. For more details download the brochure of events here.